Fond childhood summer memories often include trips to an ice cream store, such as Baskin-Robbins (founded in Southern California, now based in Canton, MA). Baskin-Robbins Mint Chocolate Chip is one of the company's top selling flavors. 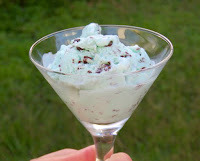 * Mint ice cream with semi-sweet chocolate chips is a great summer (or anytime) flavor. Cream was the #1 ingredient. 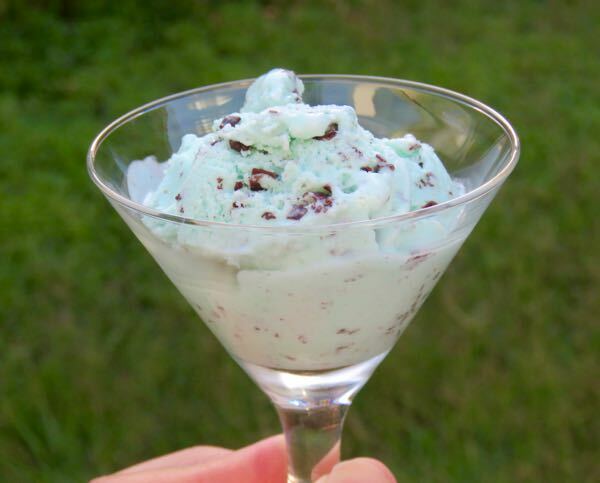 The rest of the ingredients were more predictable for traditional mass-produced ice creams: sugar, corn syrup, semi-sweet chocolate chips, natural flavor, cellulose gum, mono and diglycerides...guar gum, carrageenan, polysorbate 80, and artificial colors (blue 1, yellow 5). 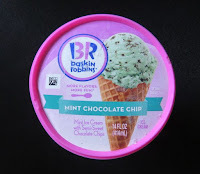 *The company website listed Mint Chocolate Chip, after Vanilla and Chocolate, as the first three in a short list of top selling flavors.